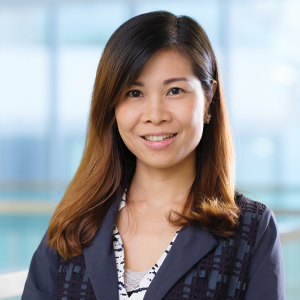 Dr. Veronica Lin joined the School of Hotel and Tourism Management as Professional Consultant in September 2015 after nearly ten years of working in real estate consultancy and real estate investment companies. Prior to joining academia, she was analyst and investment manager in JLL and Generali Real Estate, a global real estate asset management company. Dr. Lin obtained her BSc(Surveying) degree and PhD in Real Estate from HKU. As a practitioner in real estate asset management, she has strong experience in real estate transactions and investment analysis in Asia markets and extensive network with industry players including brokers, investors, developers and real estate fund managers. Dr. Lin teaches a broad range of undergraduate real estate investment courses and postgraduate quantitative real estate finance courses, including investment and development feasibility studies, financial modelling, portfolio theory and risk return analysis. She is a member of the Royal Institute of Chartered Surveyors (RICS). She is very active in industry seminars and conferences and involved in events organised by Hong Kong Institute of Surveyors (HKIS) and the Royal Institute of Chartered Surveyors (RICS). Veronica is devoted to nurturing local real estate talents from her enriching experiences in her work.